In the high-priced world of Bay Area real estate, square footage can be an expensive proposition. In fact, in some of the region’s most popular and exclusive communities, a home’s price per square foot can be downright astronomical. To find out where Bay Area homebuyers paid the most per square foot in the first quarter, we examined MLS data for the nearly 70 communities in which Pacific Union operates. Note that for the purposes of this analysis, only single-family homes and communities with at least five sales have been included. Palo Alto — Palo Alto’s popularity is evidenced by the fact that buyers were willing to pay a staggering $1,662 per square in the first quarter, with the city’s top-ranked public schools undoubtedly an attraction. Palo Alto‘s median sales price of $3.3 million is the highest level recorded over the past three years and up 21.1 percent on an annual basis. Atherton — As both the Bay Area’s most expensive and fastest-appreciating housing market, it would make sense that Atherton‘s price per square foot is also through the roof, at $1,427. In early March, one buyer paid nearly $3,000 per square foot for an $11.5 million home, which sold in just five days. Los Altos — Like Palo Alto, Los Altos offers access to highly ranked public schools, and real estate there also comes with a hefty price per square foot: $1,382, the most recorded over the past three years. The most money spent per square foot in the city was $3,545 for a two-bedroom home, which drove the final price about 33 percent above original price. Menlo Park — The situation in Menlo Park was identical to Los Altos in the first quarter: Homebuyers paid $1,382 per square foot, a three-year high. Only two of the nearly 50 homes sold in Menlo Park in the first quarter traded for less than $1,000 per square foot. Hillsborough — Both the median sales price and price paid per square foot hit three-year highs in Hillsborough in the first quarter, a respective. $4.8 million and $1,347. Just three homes in the high-end San Mateo County city sold for less than $1,000 per square foot. San Francisco District 7 — It’s no real surprise to see San Francisco’s District 7 on this list, as it contains several of the city’s most exclusive neighborhoods, including Pacific Heights and Presidio Heights. District 7 homebuyers paid an average of $1,321 per square foot in the first quarter, which is actually less than in the preceding five quarters. Belvedere — Although all five homes sold in the first quarter in Belvedere sold for more than $1,000 per square foot — for an average of $1,279 — the median sales price in the posh Marin County community dropped to a three-year low of $2.31 million. San Francisco District 5 — Homes in San Francisco’s District 5, which includes neighborhoods such as Cole Valley, Twin Peaks, and Noe Valley, traded at $1,193 per square foot in the first quarter, a three-year high. 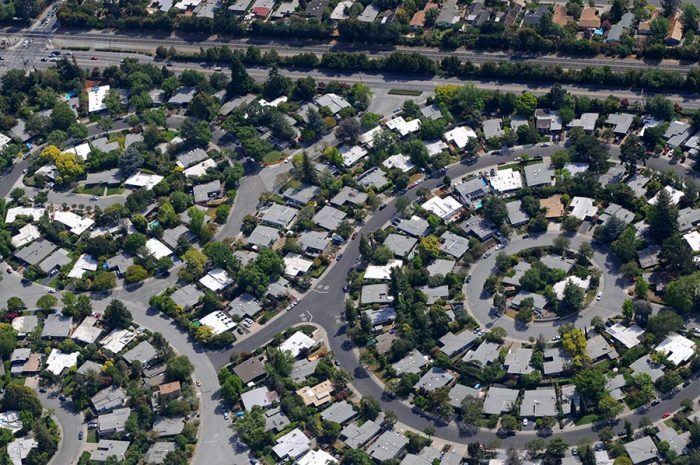 Los Altos Hills — Homebuyers in Los Altos Hills paid an average of $1,192 for each square foot of real estate in the most recently completed quarter, driving up the median sales price to $5.5 million, the highest in three years. Burlingame — As in neighboring Hillsborough, Burlingame posted both the highest median sales price and price paid per square foot in three years, a respective $2.5 million and $1,159. Burlingame’s smallest home sold in the first quarter, a 630 square-foot property in the Lyon-Hoag neighborhood, also commanded the city’s highest price per square foot: $2,540.